Application: For iPad, Tablet, etc. 360 degree rotation, angle adjustment and stretch width to fit for your iPad. 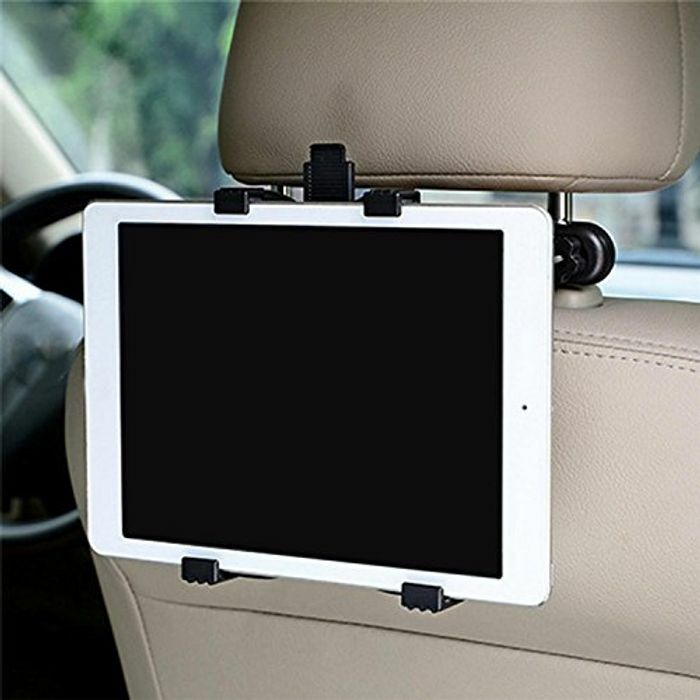 Clips on car backrest and headrest easily. Detachable designed, easy to install and store, no need tools. Note: Due to the difference between different monitors, the picture may not reflect the actual color of the item.Thank you!